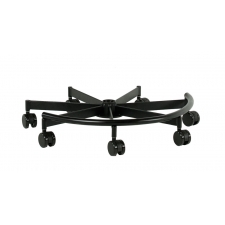 Starting At $1,571.43 + Free Shipping! 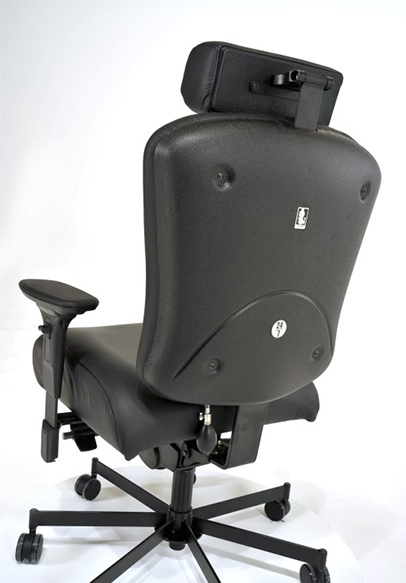 If you are looking for the best, the Concept Seating 3150HR Operator 24/7 Chair is an easy choice; its numerous features, adjustments, and 550 pound weight rating set it apart. 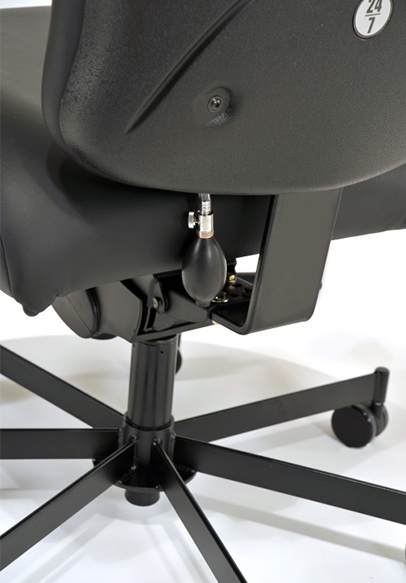 Among its features is a seven leg steel base and Dymetrol suspension which distributes your weight over the entire chair surface and eliminates any squeaky springs. 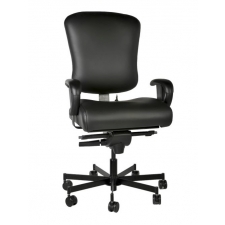 Use this chair without worry thanks to safety casters that lock into place when you stand up, and your chair can always look like new with replaceable upholstery covers. 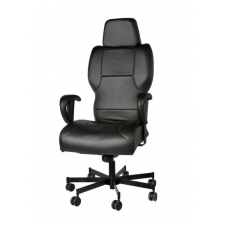 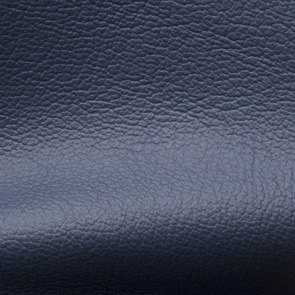 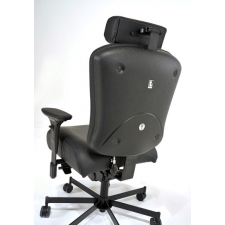 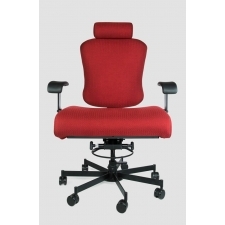 An adjustable articulating headrest which can also be used as a neck roll or swung out of the way, infinitely adjustable lumbar support, and adjustable armrests with the options of arms that swing out of the way are great perks with this chair, and so is its warranty which is the best in the industry. 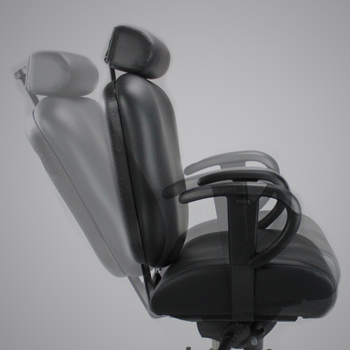 Back Height (to top of chair back): 21"-24"
Back Height (to top of headrest): 27"-31.5"
Dymetrol dissipates the occupant's weight over the entire chair surface improving blood flow and increasing oxygen levels to tissues. 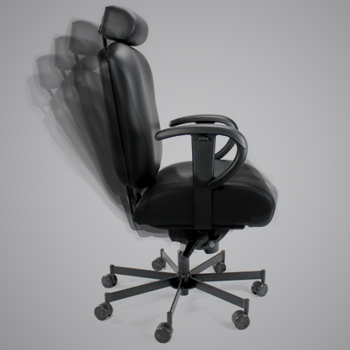 Improved blood flow and increased oxygen levels improves concentration and productivity and decreases fatigue. 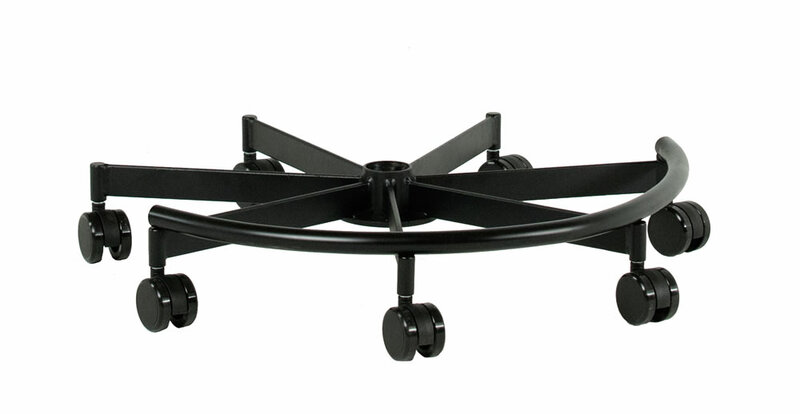 Dymetrol conforms to the shape of each occupant, as it almost instantly bounces back to original shape when weight is lifted. 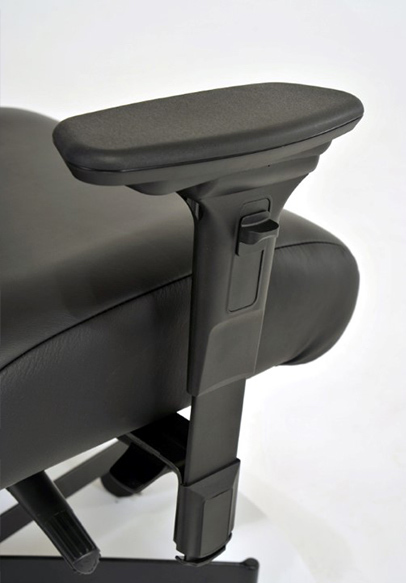 No springs eliminates the chances of squeaky or flattened springs. 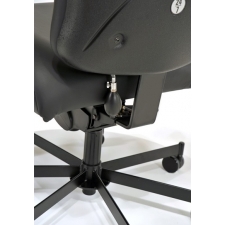 Two point stem, shock absorber and special bore construction provides an extremely smooth and quiet swivel and roll not found in standard casters. 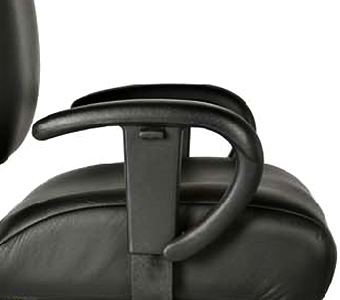 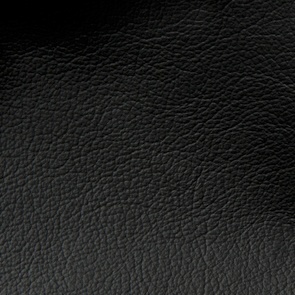 Once the chair is sat in, the break is released and allows the chair to roll freely. 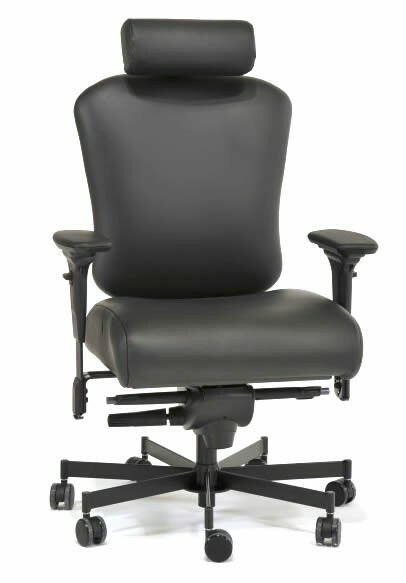 This is important for large people that need to put weight on the arms to be able to sit. 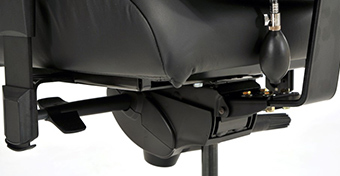 Spring shock absorber prolongs the life of the caster as well as the chair. 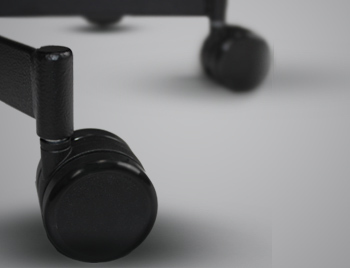 Closed Construction reduces the amount of dirt and hair that can get into the caster, prolonging the life of the caster. 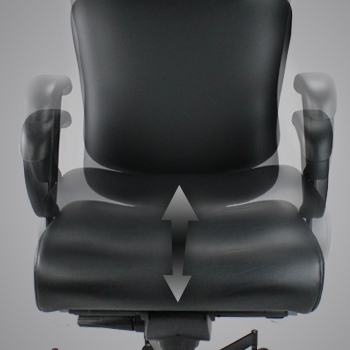 2:1 Recline Ratio - The 2:1 Syncro tilt keeps your knees and legs in an ergonomically correct position while allowing you to comfortably recline. 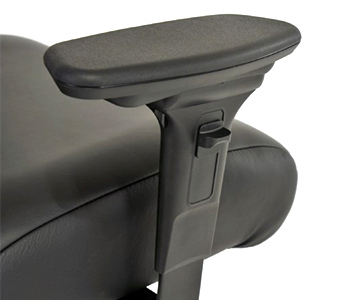 For every 2 degrees of back recline, the seat reclines 1 degree maintaining ergonomic comfort. 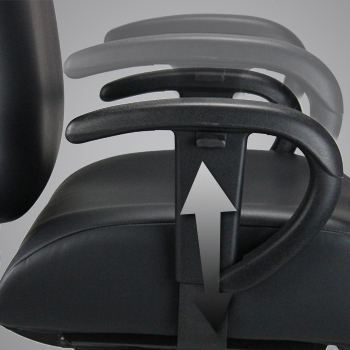 Not a better warranty in the business. 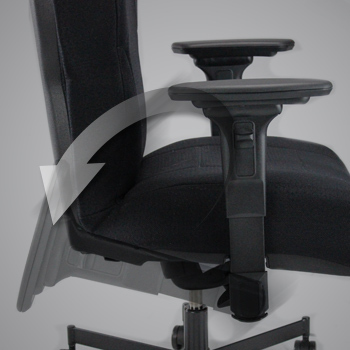 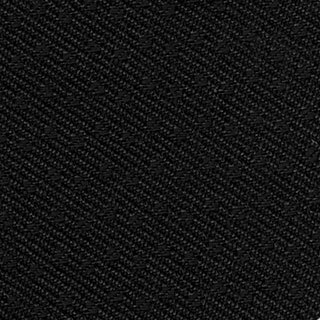 24/7 warranty that covers normal wear and tear for people up to 550lbs for 6 years. 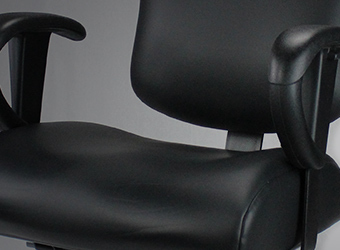 Compare to a standard warranty that only covers defects in workmanship and parts. 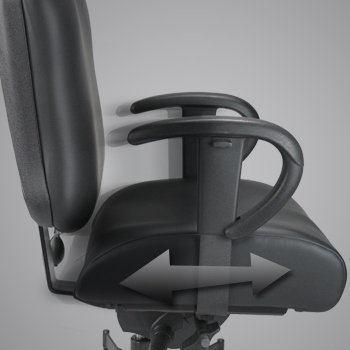 Choose from either the C Loop armrest or Adjustable Swing Away Arms. 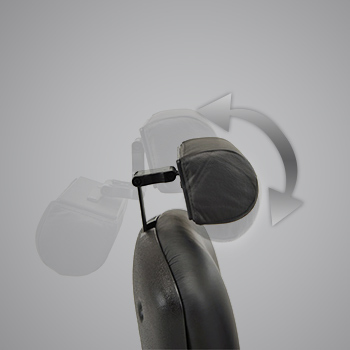 The swing away arms provide a large comfortable resting place for your arms. 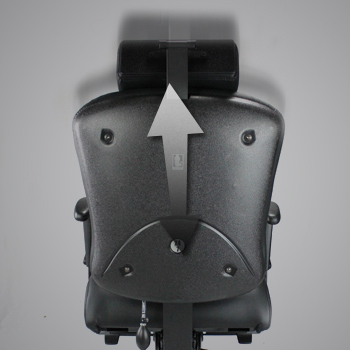 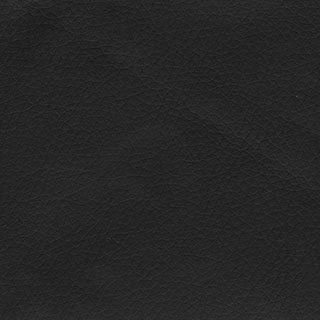 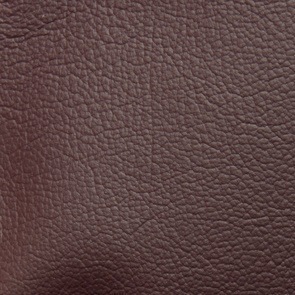 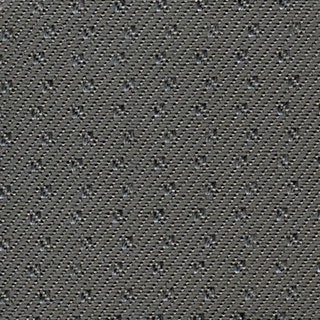 The pads adjust fore and aft as well as in and out. 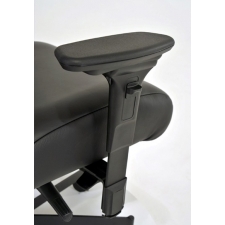 The brackets themselves are also adjustable to provide and extra 5” of width (2.5” per side). 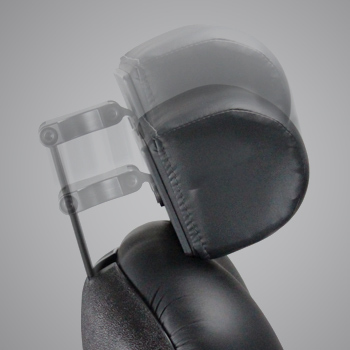 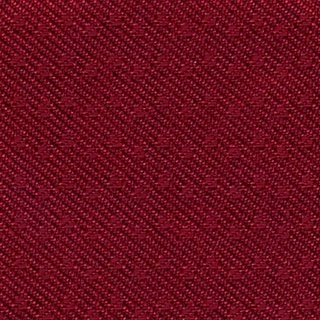 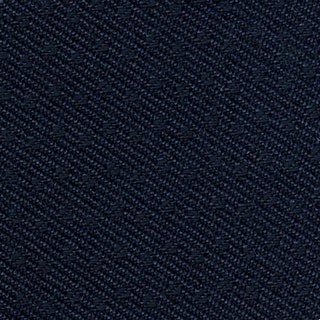 The arms will fold out of the way at the touch of a button but are strong enough to hold people of 550lb.